To successful the conference, planning is important, what to do and what not to do. Conference is a practical tool that will allow you to plot out the critical path to success. The ambience of being occupied in a crowd of people who share the same excitement as you, the lessons you learn and advice you take in, and the friends you had to communicate and the new ones you discover. Setting conference goals: Participant get more exposure in this conferences, they can show their work, research in front all the Experts. Setting up your registration process: Online registration is a true blessing or impression to get more registration it’s hurry to set up, happy to fill out and truly easy to manage. 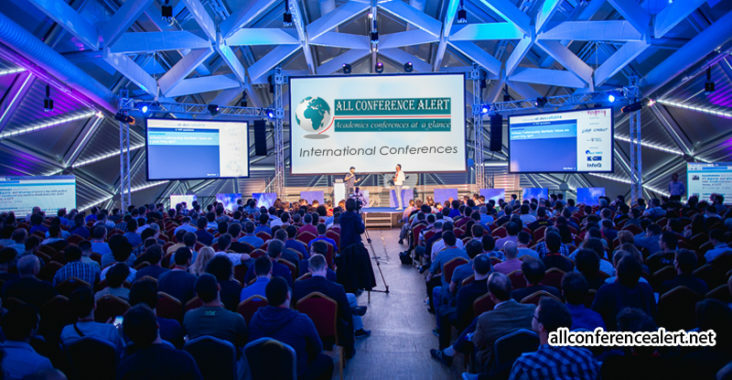 Whenever you need to get a neat guest list for your conference alerts, online registration software can handle the job, while you focus on other important tasks. Pick up a comfortable venue: While thinking about venue ask the few questions to the hotel manager Is the space available on your selected dates? the venue accessible from the airport, highways, or public transit? Does the venue offer accommodations? What kind of atmosphere does the venue offer? Is the venue large enough for your event? Does the venue offer the right facilities? How much does the venue cost? Etc. ,this will be the 1st think you should ask this are the main questions should be answered before booking the venue. Sending invitations: Send invitation to the participant, speakers, guests etc. through mail, call, personal invitation or using social media event invitation. Booking transportation: Organizers should book the transportation for the participant, speakers, guests etc. pick and drop facilities should be there , it give positive impression to the participant, speakers , guests etc. Collecting abstracts and papers : Collect and Organize conference speaker Curriculum Vitae, data Abstracts, Audio Visual, Presentations, Disclosure forms, etc. , Provide on-line entry guidelines, Context-sensitive fields based on category, session types, etc. Upload files including Power Point, photos, etc. Control access based on stage of process (submission, review, accepted, post-conference alerts. Automated E-Mail correspondence for thank you letters, notifications and additional data collection. Voting and management of abstracts: Selecting the abstract’s from participant’s and speakers etc. and keep the record about them and maintain in the spread sheet. Communicating with delegates: Plan your communication ahead of time and incorporate it into your critical path, this is the best way to attain a good conference. A good way of thumb for how often to send these is if you don’t have any upcoming news to send, don’t email the delegates just for the sake of emailing them. Below is an example of what it could look like within your critical path. Collecting payment: Make it easy to participants to transfer the money transaction through online and make records in the spreadsheet. Speakers need to bring more than themselves: Even in this technology age, speakers occasionally show up with no presentation materials. This causes the audience to start using their own electronic devices while they listen. It’s rare for speakers to be compelling enough without visual aids or videos, so it’s best to request an advance presentation preview. To attract them and they can show their works to all. Determine whether you can pay speakers; Organizers should think before calling speakers that they can pay for the speakers , if the speakers are ready to come as free its well and good , but the speaker ask some pay 1st see the budget if they can do adjustment they can pay to speakers. Sponsor Recognition: Sponsorship is very important for any conference, first we want to see what the topic is, and who is our sponsored person we can’t go and randomly ask sponsor to the company. Example organizer is organizing the all conference alerts on Cancer we should ask the sponsor from the cancer related co like colleges, hospital, pharmacy, etc. and next we want to tell what benefits they get are, we want to make the list or template and poster to mail to the sponsored.